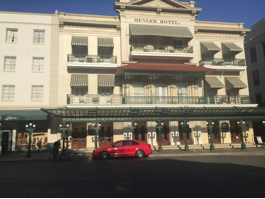 Suzanne and I checked in to the Menger Hotel this June 12, 2018. We are guests for a week at one of the finest hotels in America, one cited on the list of historic American hotels. The Menger is the oldest continuously operating hotel west of the Mississippi River, opened in 1859 by German immigrants William and Mary Menger, who�d come to America in 1847. Its location is on Alamo Plaza, almost immediately next door to the famed Alamo Mission Church where the famous Battle of the Alamo took place. That battle took all the lives of 186 Texans seeking independence from Mexico, at the hands of General Santa Anna. My parents had resided in San Antonio 1958-63, and again about 1970-81. 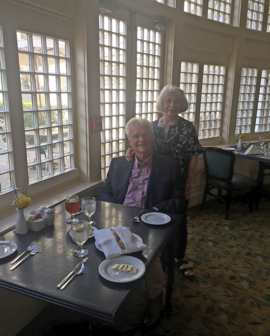 My mother�s favorite place to dine for a special treat was for my father to take her to the Colonial Dining Room at the Menger Hotel! It was our treat to dine there this evening. Our entr�e was roasted lamb chops, served in a most exquisite display of culinary artistry and tasty embellishment to our palates. Of course, the pecuniary assignment for this experience was in line with the elegance of the display! This majestic place of dining is just off the Victorian Lobby. There is an additional fondness to us for being at the Menger. Colonel Theodore (Teddy) Roosevelt, in his pre-Presidential endeavors in the military, established a recruiting station at the Menger Hotel in 1898 to enlist soldiers to engage in the Cuban based Spanish American War. It was at this place that my grandfather, Harry Seth Sharpe, was recruited into his Army, becoming a participant in the famed Battle of San Juan Hill. The occasion for Suzanne and me to lodge at the Menger was as we served as Delegates to the June 2018 Republican Party of Texas Biannual Convention. 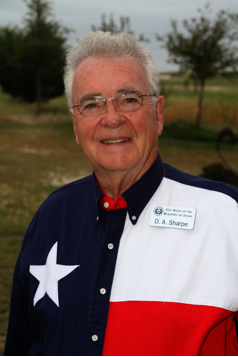 Our Delegate service to this political activity began in 1988, and we have been Delegates to 14 of the 16 Conventions since then. One we missed while being on a trip in Europe and the other was in surgery!